I don’t mean literally, because, duh, we all have bills to pay. I mean do you remember the purpose of your company, the role you play there, and why any of it matters to anyone? If you can answer in the affirmative, you are in the minority. Consulting to corporate America for decades I’ve discovered that increasingly employees are unable to recall their company Mission Statement, or even necessarily what one is. A Mission Statement, in a sentence or two, defines what a company does, why it exists, and its reason for being. It guides and informs strategy and growth and is absolutely imperative to align a company’s employees. Often I encounter companies with existing Mission Statements that are so full of jargon and platitudes that it is frankly difficult to understand the point. A recent client shared a Mission Statement that weighed in at about 250 words, was memorable to exactly no one, and candidly not worth the pixels it hogged up on the website. In today’s sound-bit culture, where slogans and catchphrases rule, a company must now truncate its Mission Statement so employees can understand it, remember it, adopt it, say it and live it. The same can be said for a company’s Vision Statement. Simply stated, if a Mission Statement reminds people why they come to work everyday, a Vision Statement articulates where the company is going. To develop a sound, strategic, and unique Mission and Vision Statement, it is best to be done as a senior management collaboration lead by an expert Brand Strategist. The most successful Mission and Vision Statements are developed during workshops that are part of a larger brand refresh exercise. Such exercises include prior qualitative research with customers and employees so the Brand Strategist can accurately represent where the brand currently lives among key stakeholders … and where it could possibly go. 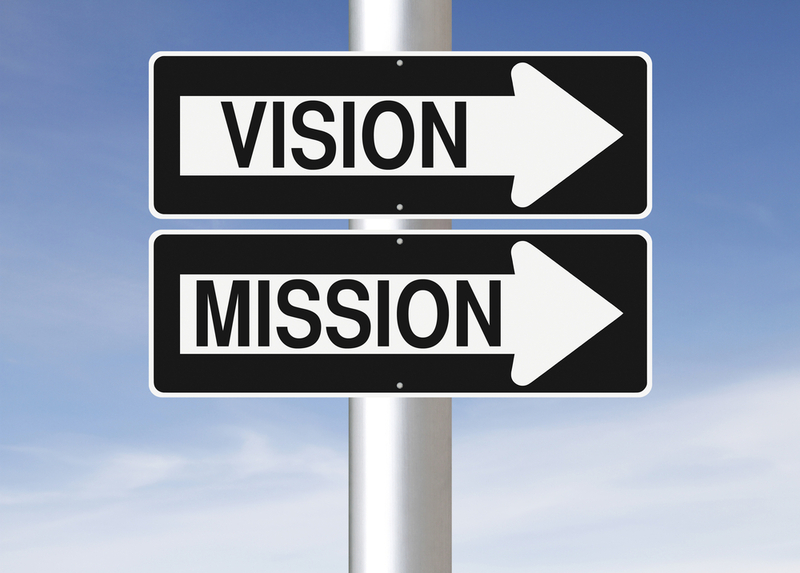 Done successfully, a Mission and Vision Statement will engage, excite and revitalize your company. As for the previously noted client, post Workshop their Mission Statement was reduced to about 40 strategic, memorable and, frankly, awesome words. It may be a tee-shirt as well.